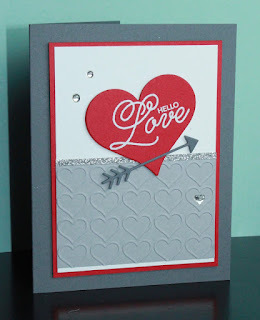 Just Julie B's Stampin' Space: Creation Station - Love is in the Air, Love is Everywhere! Creation Station - Love is in the Air, Love is Everywhere! 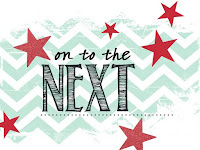 Welcome to the Creation Station Blog Hop for January! Our theme for this month is Love is in the Air, Love is Everywhere! I decided to make a card and small gift box project that could be used for an anytime "with love" gift, but I'll most likely use it for Valentine's Day gift! 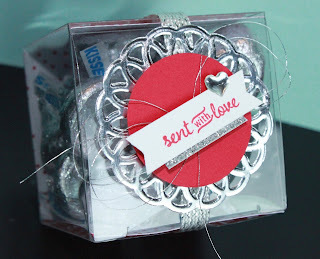 I used the Sealed with Love set and Love Notes Framelits to start - and then went back to the main catalog to get some coordinating accessories. 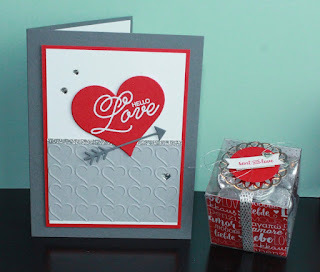 I used the Sweetheart Framelit Die around the saying from the stamp set - and I love how the hearts on the Happy Heart Embossing Folder coordinate just perfectly with the sweetheart framelit shape! And it fits a good amount of treats! I wrapped a piece of our Sale-A-Bration silver Metallic Ribbon as the 'belly band' that slides off the box. And everything else is 'Glue Dot-ted' to the belly band! 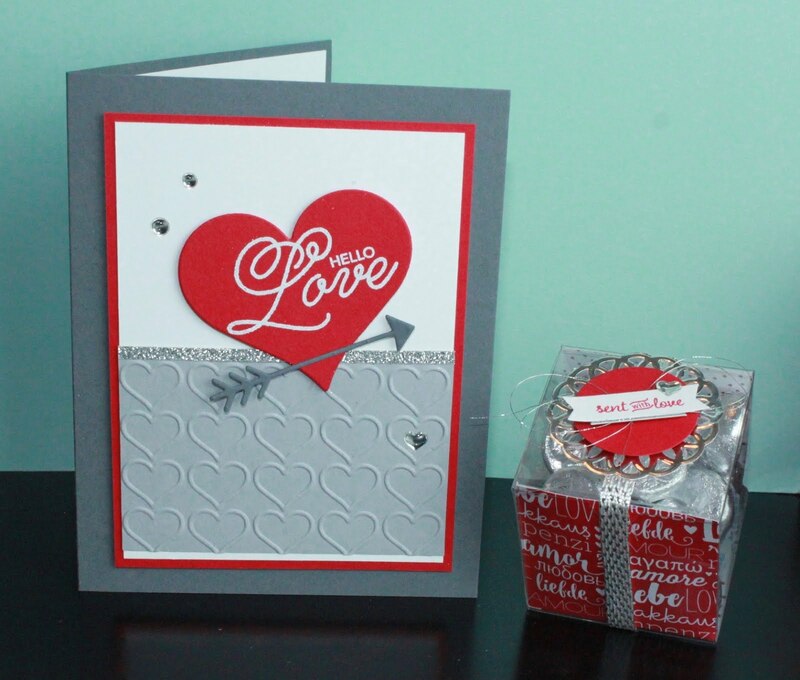 I love using the silver Metallic Foil Doilies as the base layer - so pretty! 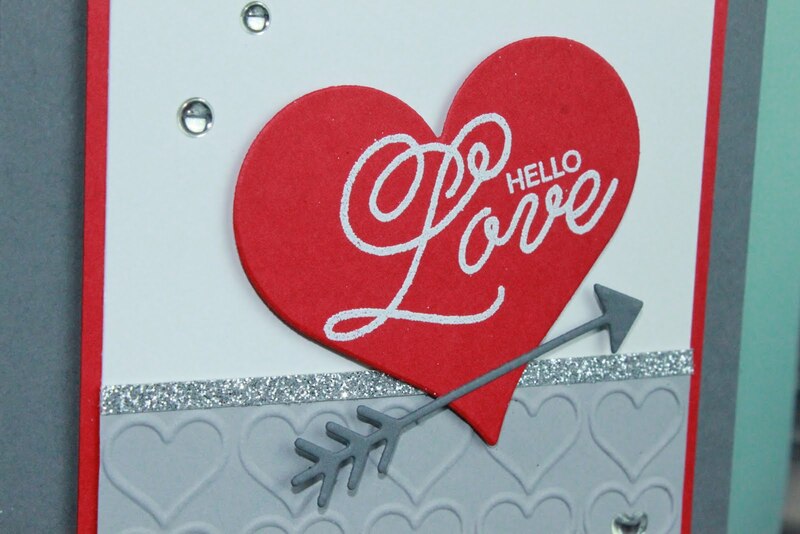 And all the touches of silver - Glimmer Paper, Metallic Enamel Shapes and Thread add that fun 'pop' to the 'sent with love' banner! 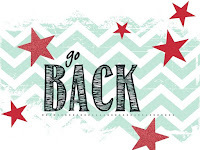 All pretty simple stuff - but hopefully, something fun or new you haven't seen or used yet! 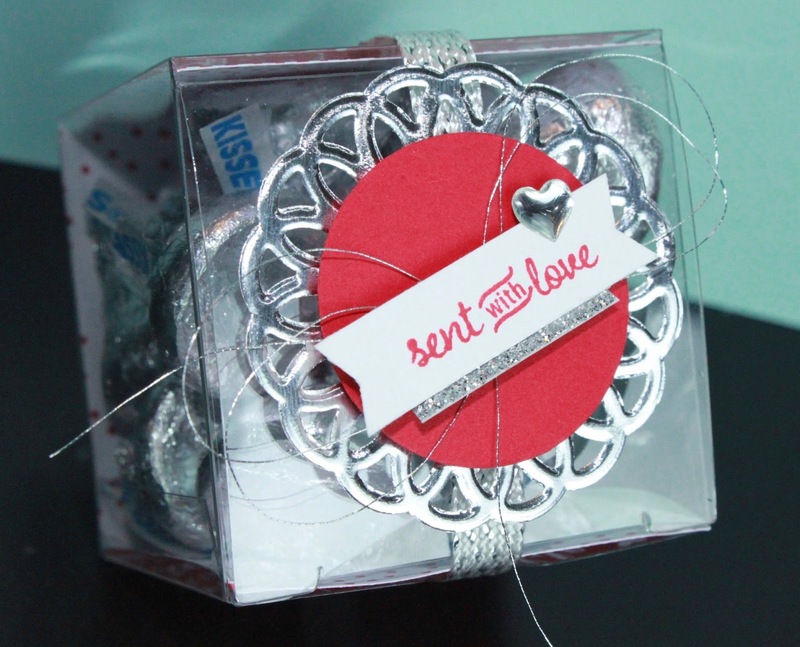 Such a pretty Tiny Treat Box...and easy! 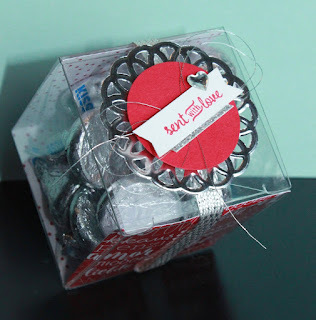 Great projects Julie. 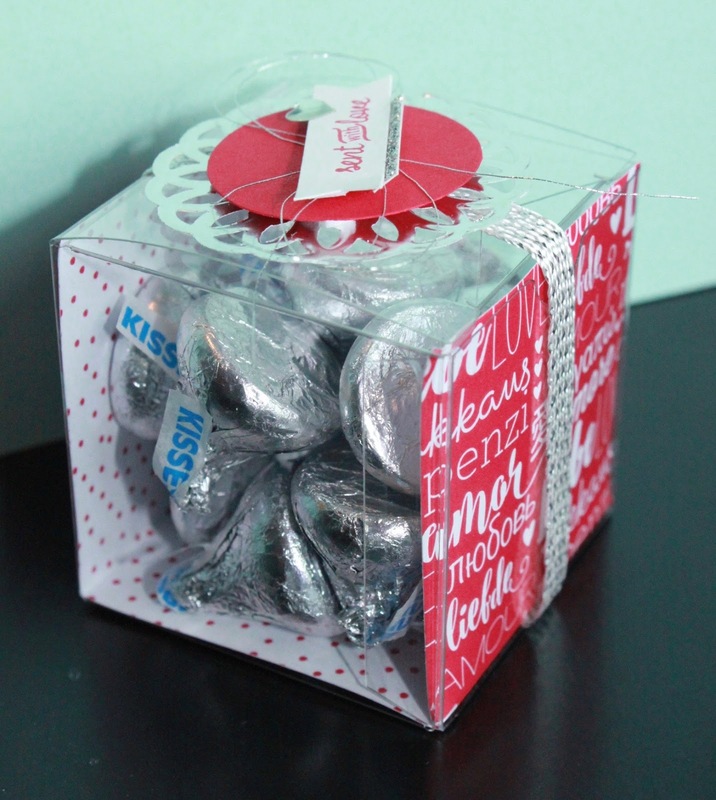 The tiny treat boxes are perfect for a fun valentines treat.